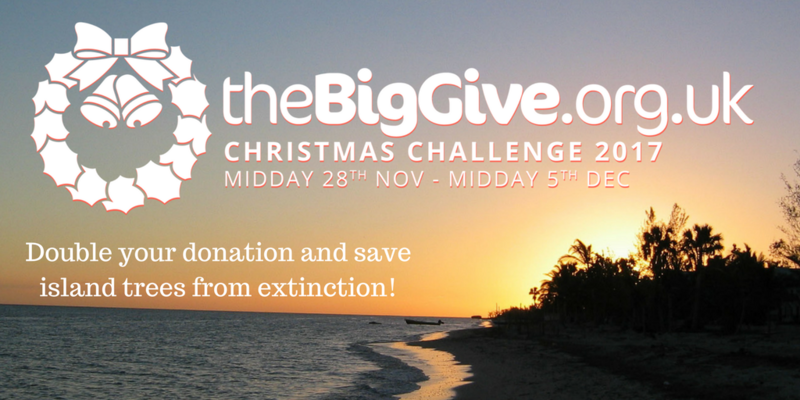 BGCI is once again participating in the Big Give, fundraising to protect island tree species from extinction. BGCI is currently working to protect tree species from extinction in Fiji, Mauritius, the Seychelles and Haiti. To catch a glimpse of all the great work we are doing, see the #IslandTrees on BGCI Twitter. We would like to extend this work to include other islands where tree species run the risk of being lost forever, facing threats such as extreme weather and invasive species. Help us to raise £10,000 from Tuesday 28th November until Tuesday 5th December to complete this year's challenge! All £10,000 will be doubled so with your help we could raise £20,000 to support our work to save island tree species from extinction. Whether it is Jardin Botanique des Cayes in Haiti trying to conserve a rare palm after hurricane damage or Suva Botanical Gardens in Fiji trying to find a tree last recorded 70 years ago, BGCI is there to support them. Double your impact, and help BGCI to protect the world’s most threatened island trees this Christmas. BGCI's second technical review now available online!